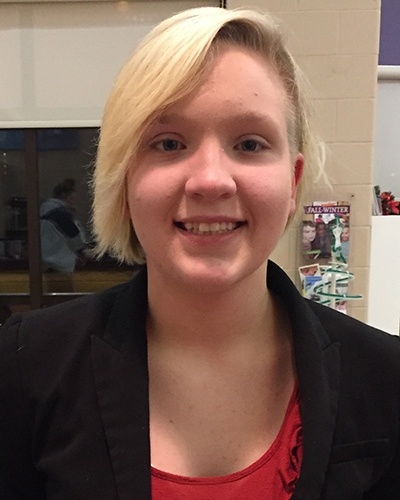 The Boys & Girls Club of Oshkosh is pleased to announce the 2018 Boys & Girls Club of Oshkosh Youth of the Year winner – Nichole Van Hoof. Each year a local Youth of the Year committee interviews a number of high school students at the Club judging them on their service to their Club, community, and family; academic success; strong moral character; life goals; and poise and public speaking ability before selecting a Youth of the Year winner for the organization. From here, Youth of the Year winners from local Boys & Girls Clubs across the state will travel to Green Bay to compete for the state title in March. Nichole will compete against a total of sixteen other Club members for the title of Wisconsin State Youth of the Year. If she wins the state title, Nichole would also receive a $5,000 scholarship from BGCA and Disney and a $1,500 scholarship from the Boys & Girls Clubs Wisconsin Area Council. Nichole has also given back to her community through her involvement with the Club. For one of her Keystone projects, she took a leadership role in helping coordinate a special evening that fostered positive communication between teens and the Oshkosh Police Department which included a dinner, a panel discussion and an obstacle course with teens and officers. This past summer, Nichole also worked as a volunteer distributing food at a Feed America food drive that was held at the Club. “We are so proud of Nichole and look forward to all that she will accomplish academically and professionally in the next few years and most of all to how she ultimately will give back to her community,” added CEO, Marc Dosogne. Please join the Boys & Girls Clubs of Oshkosh in congratulating Nichole in all of her accomplishments and Youth of the Year title. Thank you to the 2018 Boys & Girls Club of Oshkosh Youth of the Year Judging Committee: Pat Weston (CR Meyer & BGCO Board Member), Al Ackerman (friend of the Club) Sue Ackerman (BGCO Board Member), Peg Wachtel (friend of the Club), Jodie Larsen (Oshkosh Corporation, friend of the Club) and Lorie Bunke (BGCO Board Member). For more information on the Boys & Girls Club of Oshkosh, please contact the Club at (920) 233-1414, visit the Club online at www.bgcosh.org or find the Club on Facebook, Twitter, Instagram, (@BGCOsh), YouTube or LinkedIn. As always, the Boys & Girls Club of Oshkosh is a United Way Agency.